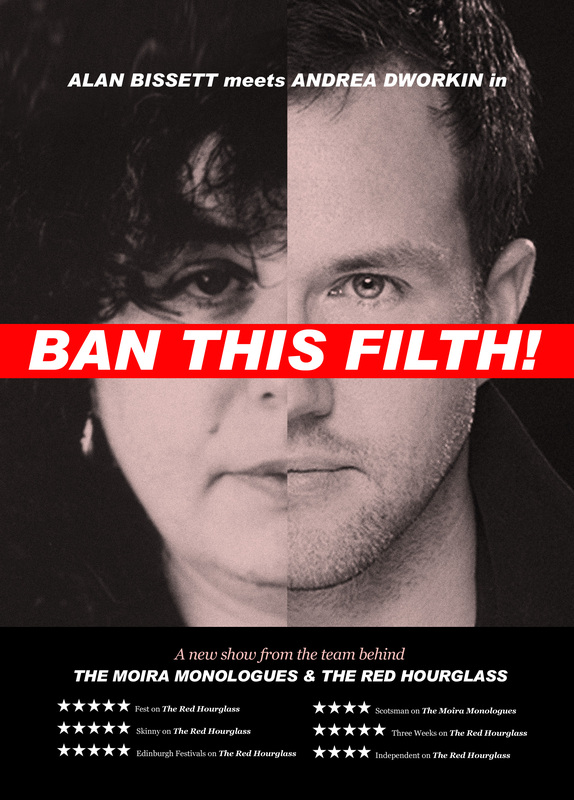 My new solo show Ban This Filth! comes to The Scottish Storytelling Centre from the 1st to the 11th of August, as part of The Edinburgh Festival Fringe. Directed by Sacha Kyle (The Moira Monologues & The Red Hourglass), tickets are available here. ***** 5 stars ‘Sophisticated, completely captivating theatre.’ – Three Weeks on The Red Hourglass. ***** 5 stars ‘Bissett’s a joy to watch as a solo actor. His language is crisply economic, and punctuated by whip-smart humour.’ Fest on The Red Hourglass. ***** 5 stars ‘Hilarious, with a political edge.’ The Skinny on The Red Hourglass. ***** 5 stars ‘One of the hidden gems of this year’s Fringe.’ Edinburgh Festivals Magazine on The Red Hourglass. **** 4 stars ‘Brilliant stuff … so funny that some of the audience were shouting with laughter.’ – The Scotsman on The Moira Monologues. **** 4 stars ‘Bissett has real presence as a performer; his writing glitters with unusual erudition and deft wit.’ – Independent on The Red Hourglass.